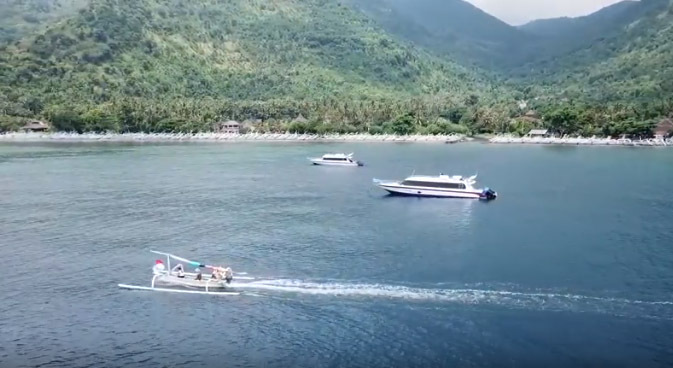 Amed Beach is located in the eastern hemisphere of the island of Bali, can be reached 30 minutes from the district Karangasem Bali, or - + 3 hours drive from the airport. Amed Beach has exotic underwater panoramas in the form of coral reefs and tropical marine biota. Amed Beach is surrounded by Jemeluk hills, so we can see the Amed Blue Sea with a great mountain view that rises to the sky. We can feel the hospitality of the villagers around Amed Beach. 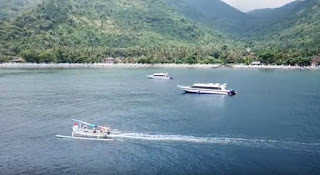 the advantage of Amed Beach is that it is one of the favorite beaches for diving sites in Bali, the beauty of the sunrise when the morning always makes the charm of Amed beach will not be forgotten for tourists visiting this beach. This beach is very popular in foreign countries, but it is regretted that this tour is less popular with local tourists, with the increasing popularity of Amed Beach, more business people in this tourist area, so we can feel satisfying facilities when visiting here, from lodging, fast bots to cross to Lombok island, restaurants, and the main supporting facilities for diving and snorkeling tours. So Amed Beach is a recommendation to visit when in Bali.